THR 333 Introduction to Playwriting is a highly personalized playwriting course that educates, nourishes and directs the strengths, challenges, and goals of each writer and her/his unique voice. The majority of instruction takes the form of one-on-one e-mail dramaturgy of student generated writing, supplemented by materials and plays to read. Lucia Frangione is an award-winning and internationally produced playwright whose desire is to cultivate the authentic voice for other writers. Lucia is an internationally produced award-winning author of thirty plays, seven of them have been produced by Rosebud, including among others: Holy Mo, Cariboo Magi, Chickens and Christmas on the Air. Lucia works regularly with the Arts Club Theatre, producing In a Blue Moon, a play that recently toured to Western Canada Theatre in Kamloops and Thousand Islands Playhouse in Gananoque. Pacific Theatre in Vancouver, recently produced Espresso and Leave of Absence and will world premiere Holy Mo! A Christmas Show! in the fall of 2016. Espresso went on to tour Western Canada and has been to London, Chicago and Warsaw. Recent productions include: Off Leash at Fugue Theatre, Maid for a Musket at St. Lawrence Shakespeare Festival in Prescott ON; Etienne, a pod play, with Neworld Theatre and the Richmond Gateway and FRESCO at the VECC with Bellaluna and the ICC. 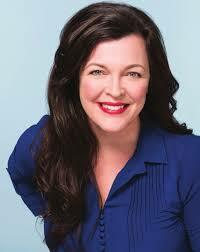 Lucia is currently working on an adaptation of The Thin Man for Vertigo Theatre in Calgary. She is published by Talon books and is a proud member of the Playwrights Guild of Canada. Lucia is also a stage and film actor and has worked at regional theatres across the country. Lucia has taught playwriting at Rosebud for twelve years. She also teaches playwriting at Langara College.